This set of crystal clear grade A quartz crystal mala prayer beads has fluted quartz crystal markers at the 7th spot on each side and large quartz markers at the 21st spots and the top. Maroon silk tassel. Quartz crystal is said to be helpful for clarifying, purifying, and for connection with a higher power. I strung this mala with love and prayer on nylon-coated beading wire and finished it with a quartz crystal, three-holed guru bead set and maroon, French silk tassel that I made. 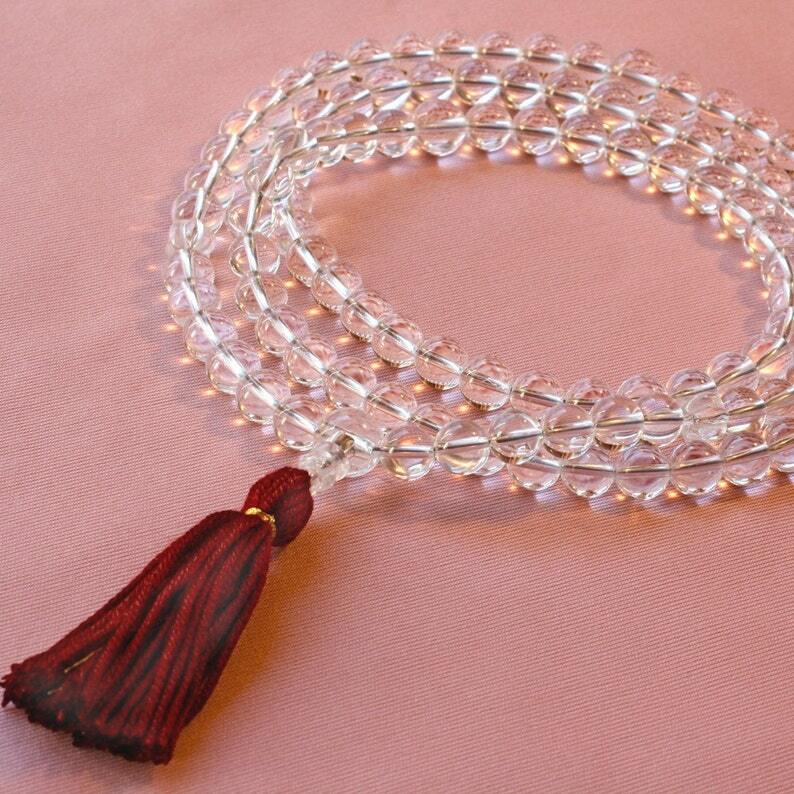 Made of 8mm quartz beads with three 10 mm markers, it measures 19 ½ inches, or 49.5 centimeters, from top bead to the bottom of the tassel, measured when lying flat. I ship worldwide. 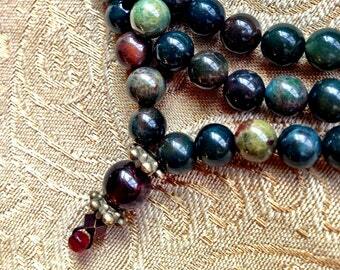 Comes with a letter about materials and mala care, packed in a gift box with silver cord. Tax is added automatically to California sales. This order was expanded into a special order mala consisting of 10 mm faceted clear quartz beads with carved quartz marker beads and maroon tassel.